Flinders Petrie is most famous for his extensive work in Egypt, but one of his first archaeological projects was far closer to home and took place in Wiltshire. England plays host to many iconic heritage institutions and monuments, but perhaps the most recognisable is a ring of stones that have beguiled archaeologists, historians and tourists for millennia. A henge literally means a precipice or cliff, but archaeologists helpfully also use the word to refer to an earthworks circle with an internal ditch, so technically Stonehenge isn’t actually a henge, but let’s not be pedantic here. A UNESCO listed site, Stonehenge plays host to around a million visitors a year ranging from Anglophile tourists to ardent pagans. The first known excavations at Stonehenge took place in the 17th century , with John Aubrey, author of Monumenta Britanica and wearer of a very fine wig, working there towards the end of the century. 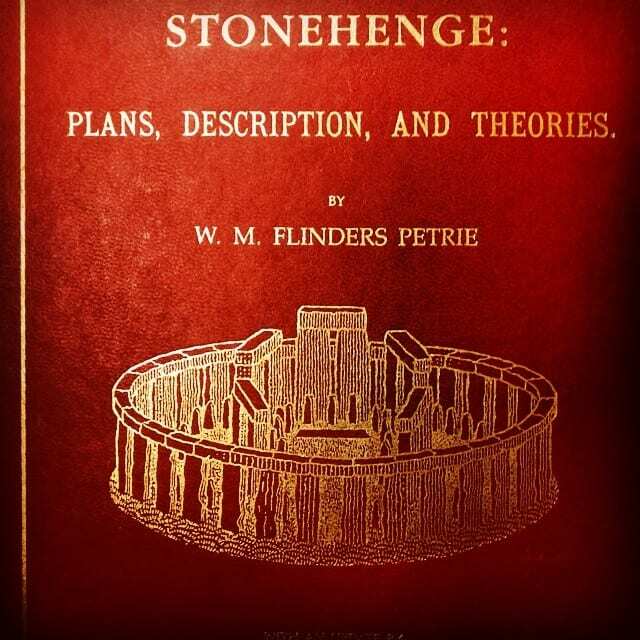 In 1874, prior to his residency at UCL, a 19 year old Flinders Petrie conducted a survey of Stonehenge and in true pedantic Petrie style invented the numerical system used for the stones today. Excavations and surveys of the site are still ongoing, with UCL leading much of the fieldwork. Despite the 500 odd years of archaeology, anthropology and stratigraphy we still have no real idea what the site was actually for, but a myriad of weird and wonderful theories do exist. Many of these ideas relate to the pagan practice of the Summer Solstice, when the rising summer sun would cast a shadow from one of the external stones along into the main site. Petrie is very dismissive of this theory, claiming it would not stand up to “scientific scrutiny” (Petrie, 1989 31). Solar sensitivity is by no means unique to Stonehenge. Astronomical locations and happenings relate to a broad range of international sites, such as the Sun temple of Userkaf whose alignment may relate to 2400BC rising constellations. Aside from the paganism elements, Stonehenge is sometimes attested to the famous Welsh king and all around good guy Arthur Pendragon. According to Geoffery of Monmouth’s account, Stonehenge was constructed from African stones that inspired healing which Uther Pandragon (Arthur’s father) stole from the Irish. Emperor Constantine and Uther Pendragon are allegedly buried within the stones (Monmouth XI.4), but excavations have yet to unearth their possible resting places. I love Monmouth’s History of Britain, but certain elements do seem a tad extreme. That aside, the idea of Stonehenge as a place of healing does seem plausible given the high amount of graves in the area containing bodies with defects and damage. However, as Petrie observed in the 19th century, the distinct lack of altar or “traces of fire or calcination” (Petrie, 1989 31) do weaken the argument for the potential religious significance of this site. More recently, Stonehenge has made the news as a £27 million visitor’s centre is to be built, after 85 years of debate and disagreement over the plans. This new build is designed to alleviate the stress on Stonehenge during the peak summer weeks, whilst still allowing access to the Neolithic site. Certainly the Stonehenge facilities could do with a revamp, I distinctly remember a bleak concrete tunnel and a sort of dystopian car park when I rampaged around it about 12 years ago. You can take a virtual tour of the yet to be constructed centre here. More questionable is the pricing change, with an adult entry ticket now being hoicked up £16.30, does this in in fact reduce access? Personally, I think not. It would be a wonderful thing for all heritage and institutions to be able to function free of charge, but the blunt reality is that, for the most part, they cannot. A site like Stonehenge requires a vast amount of staffing and conservation to protect and upkeep; such fees are unfortunately necessary. Director Alisdair Hinshelwood commented that this new centre “was not to…massively increase visitor numbers. Instead, for the number of visitors they get, the aim was to increase the quality of the experience and to try and reflect some of the contemporary thinking about Stonehenge” (MJ, Jan 2014, 31). If English Heritage are going for the quality, rather than quantity of visits, the heightened price does not appear such a condemnable factor. Petrie’s survey was certainly one of the first most thorough works of the site, indeed he is rather derisive of earlier surveys for not being accurate enough, he himself measuring the stones to 1/10 of an inch (Petrie, 1989 3). Much like his work on Naqada pottery dating he applied numerical patterns and sequences to rationalise the material into more feasible concepts. Despite his thoroughness Petrie does have the grace to admit that “perhaps small corrections may be made” (Petrie, 1989 34), ever the humble man! Whether a pilgrimage to the see King Arthur, or a keenness to measure the stones to within a 20th of an inch and out do Petrie, Stonehenge is a wonderful site, and will ever remain so. Edmund Connolly Coordinates the British Council – UCL Museum Training School, hosted at UCL. Petrie, 1989. 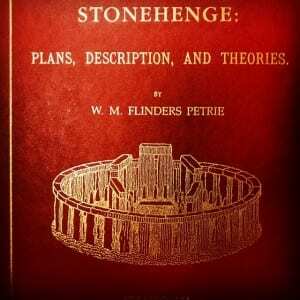 Stonehenge: Plans, Description, and Theories.